Going to college is a great step in the right direction for financial self-sufficiency, but it can be a tough path if you’re a homeless student or have a special circumstance. According to Federal Student Aid, a homeless student is someone who lacks “fixed, regular and adequate housing.” This may be anyone who is sleeping on a teacher’s couch or staying with a different friend each night. Your situation doesn’t have to stop you from pursuing your dreams, however. Applying for financial aid to help pay college expenses should be one of the first things you do. 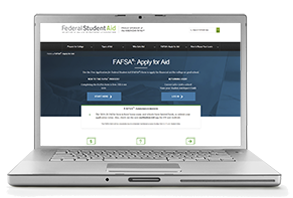 The Free Application for Federal Student Aid, or FAFSA, is the form that students and their families must complete annually to apply for federal and some state financial assistance for college. 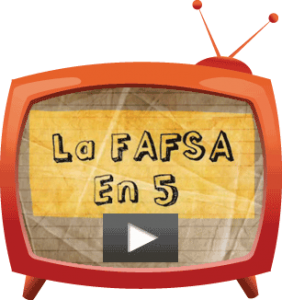 When completing the FAFSA, you will be asked a series of questions to determine if you will or will not have to provide parental information. Students who qualify as homeless will not have to report their parent’s data, but will need to contact their college’s financial aid office with documentation of their living arrangements. Talk with your high school counselor about your situation. Counselors can work with a campus homeless student liaison to provide the appropriate documentation. 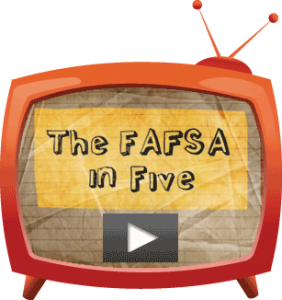 Other students who are not homeless, but are also unable to provide parental information, will need to indicate they have a special circumstance on their FAFSA. This step will allow those students to skip the parent demographic portion of the application and proceed to the student section. A special circumstance may include escaping an abusive home environment, inability to contact parents, incarcerated parents, or parents who refuse to provide their information. When students indicate they have a special circumstance, they may only be eligible to receive unsubsidized student loans. An unsubsidized student loan is one that accrues interest while the student is in school. Once repayment begins, the student will repay the principal and the interest that has accumulated. In contrast, the interest on a subsidized student loan is paid by the government while the student is in school at least half-time. Students are encouraged to contact their campus financial aid office to explain their situation. The financial aid office will notify you if additional information is required. As you move to the next level of education, there are resources available to help you succeed in college. Below are a few programs that may be helpful to you. National Association for the Education of Homeless Children and Youth (NAEHCY): This program connects students with resources that will help them be successful throughout every year of school. Learn more about the program at NAEHCY.org. National Center for Homeless Education (NCHE): NCHE offers an educational helpline for students experiencing homelessness. See how their helpline can guide you at NCHE.ed.gov. Local Family and Youth Services offices: Family and Youth Services agencies provide living arrangement resources for homeless students. Find your local Family and Youth Service office at https://www.acf.hhs.gov/fysb. Campus resources: Many college campuses have resources to help students’ access year-round housing, food banks and academic support groups. Check with the Office of Resident Life on your campus to discover available resources. Call 2-1-1: This hotline helps students locate assistance with shelters and food and other support groups.